Over 18 million people have “Liked” the Humans of New York page on Facebook. I’ve been following it for several years, and I’ve used many of his stories as examples of unlikely perspectives. If you’ve never heard of this page, it’s actually a cool story. This guy, Brandon, found himself unemployed. So to keep himself busy, he started wandering the streets of New York, taking pictures of some of the people. Eventually, he started asking them questions. And that’s where the real meat is. To see a stranger — really see them — and hear a snippet of their life story: it humanizes the Other and connects us all. His pages so popular that he’s been asked to travel, and humanize other Others. He just finished a project on Syrian refugees, and before that, the global tour of Muslim countries. But for my money, the best stories have come from the children with cancer. Brandon was invited to visit the Memorial Sloan Kettering Cancer Center. It’s so personal, the way each family friends their fight. It’s also different because each cancer is different. Sloan Kettering treats some of the rarest cancers in the world. So some kids come in with what amounts to a death sentence from something untreatable. Others have a more hopeful prognosis. Some have put all of their trust in the treatment advice. Others have fought hard, getting second, third, and fourth opinions, until they finally found a doctor who said, “maybe there’s something we can try…” It really depends on the individual details of the situation. Of course, every family is desperate, but even in a cancer ward, there are degrees of desperation. One girl, Gracie was one whose family fought a dire prognosis. She had been treated the usual way, but it had no effect. The doctors started talking about how to “keep her comfortable.” The mom wouldn’t take no for an answer. She’d gone to all kinds of doctors and they all told her, “There’s nothing we can do.” Until at Sloan Kettering, they suggested an experimental treatment that triggers the immune system to attack the cancer cells. Gracie has this sort of rosary she calls her Courage Beads. Apparently the treatment centre staff give you a bead for different events, for each chemo treatment, for each needlestick. She even has two heart-shaped – she got them for two separate episodes when her heart stopped beating. Something I love is the way she calls them Courage Beads, and not the more mellifluous Bravery Beads. 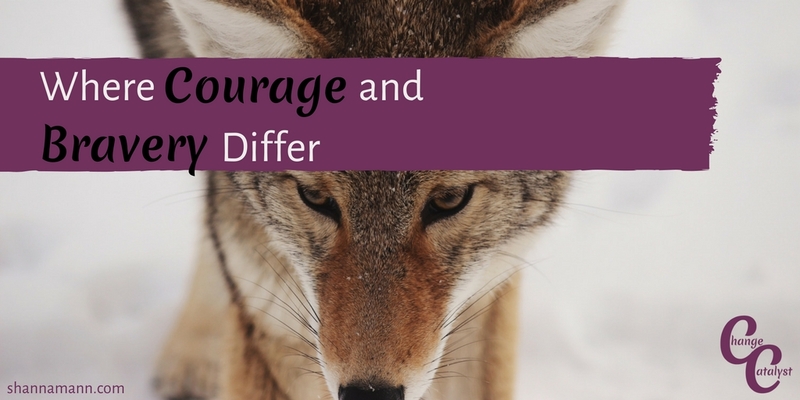 This is because in my personal dictionary, bravery and courage are two slightly different concepts. I must have read this distinction somewhere, so firmly is it set in my mind. Everyone knows you can be scared, and still be brave. The essence is in not running away. But in my view, bravery is when you stand and fight. Courage is when you run towards the threat. Bravery is defensive. Courage is offensive. 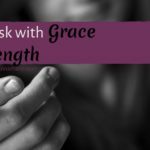 In Gracie’s situation, bravery would have been to take the first five opinions, to fight the good fight. To hope for the next round to perform a miracle. It’s grim, but there’s certainly virtue in this path, to stand and fight even when there’s so little hope. Courage, on the other hand, can be seen as foolhardy. As reckless. Experimental treatments? Make your child a guinea pig? And Gracie’s mom didn’t listen. Maybe she regretted it, at times. She tells Brandon, “It was so painful. It felt like she was getting a root canal over her entire body. After two rounds of treatment they did another scan. They wanted to see if there was any progress. The therapy was so painful that if it wasn’t working they wanted to stop.” Imagine sitting next to your child while they undergo the excruciating treatment that you fought for, but couldn’t know if it would work. She was irrational, you might say. She decided the odds didn’t apply to Gracie. But since Gracie’s cancer would have almost certainly killed her anyway, her family decided to take the risk. They strode towards the danger. High risk, yes. But high reward. And she lived. After two rounds of the experimental treatment, all the cancer was gone. 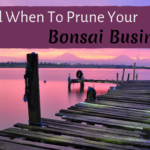 As a Bonsai Business Owner, I want to see yourself in these families. Not with cancer, God forbid. But in the way that you express courage and bravery. You have a business. Ask anyone what the odds of success in business are. They’ll happily tell you. 1 in 5. Probably worse! Yet here you are anyway, brick by brick, bead by bead, trying to build a future in your own terms. Is it irrational? Foolhardy? Maybe so. But the prognosis for those with ordinary jobs and ordinary careers is not so good, either. So we’ve decided to step forward, closer to the danger. For some, the upside of the straight job is so small that it’s self-employment or bust — that’s certainly the case for me. For some, it’s more like an insurance policy. The job is stable and pays the bills for now, but there’s a chance that it will all go down the tube, and when that happens, they’ll be ready. But there’s also no point in judging the people on the original path. The families who accepted the first treatment plan, if you will. Because every situation is different. Every set of variables. And statistics are meaningless at the level of the individual. So that’s what I have for you this week. Sorry to be so bleak. But as we all know, building a business is lonely, in part because courage looks so foolhardy. You’ll never persuade someone who doesn’t understand the choices you make. And hopefully now you can see why. 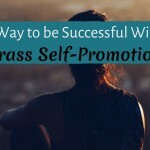 Is There a Way to be Successful Without All That Crass Self-Promotion? Q&A: How Much is Too Much for Professional Development? Previous post: Are You Really In The Business You Think You’re In?